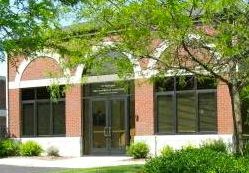 The 2014 Summer in the City Business After Hours is scheduled for 4:30-7 p.m. Tuesday, Aug. 12, in the Cobb-Hall courtyard at 223 W. Grand River Ave., right in the heart of downtown Howell. This is the ninth year for the festive, outdoor event, hosted by Cobb-Hall Insurance and the Howell Area Chamber of Commerce. Chamber members and guests network and enjoy live music, drinks, hors d’oeuvres and refreshments outdoors, centered around the elegant fountain and beautiful floral displays in the Cobb-Hall courtyard facing Grand River Avenue. A popular part of the event is the classic/unique car show, set for Center Street, which runs alongside Cobb-Hall Insurance. Center Street is blocked off for the evening, and accommodates 60 cars. If you have a classic or unique vehicle you’d like to display, be sure to call 517.546.1600. There is no charge to attend. A rain date is planned for Wednesday, Aug. 13. If needed, an email will inform members of the change of date.